The American College of Medical Genetics and Genomics (ACMG) is an organization composed of geneticists, genetic counselors and other health care professionals committed to the practice of medical genetics. Their goal for relocating within Bethesda, MD was to create a new, energetic, sun filled office space. 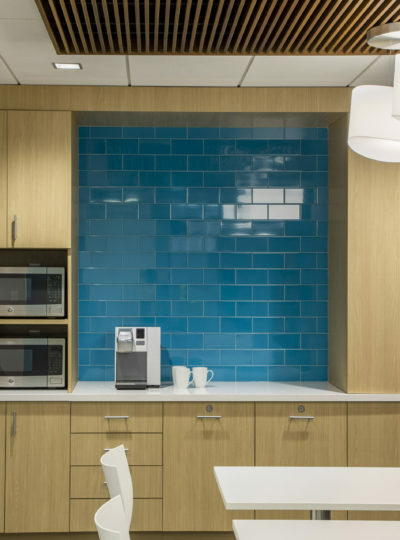 Occupying 6,000 square feet on the 11th floor gave ACMG the opportunity to capitalize on a wonderful view in a newly renovated building. 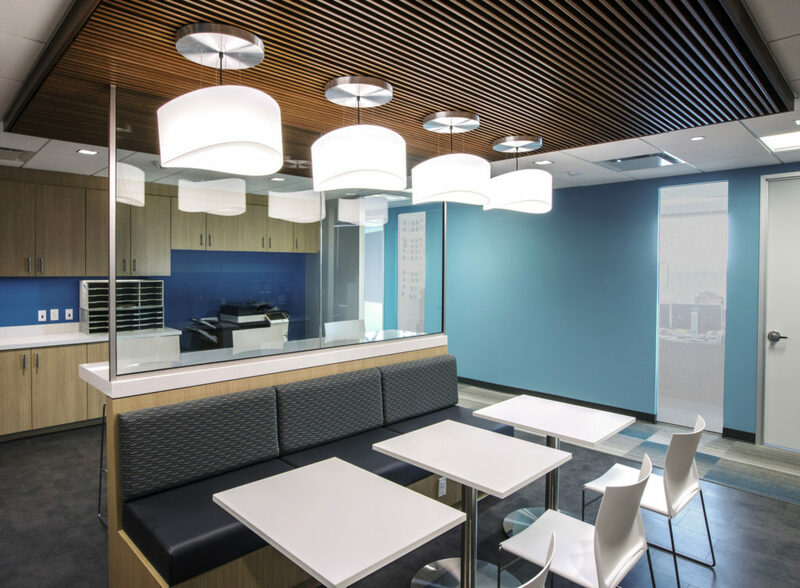 With an eye toward obtaining a clean, professional image, reflective of their position as the voice in medical genetics and genomics, the design team worked to create an environment consistent with the firms’ goals. 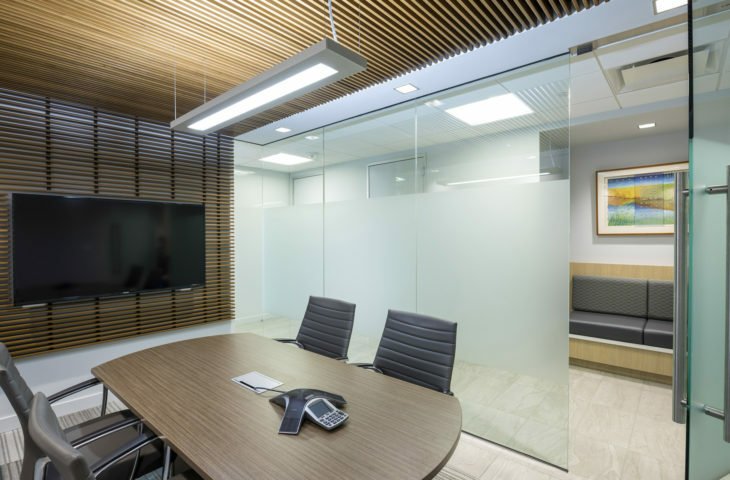 The success of this project was in creating an exciting, progressive work environment, and at the same time, maintaining a connection to the surroundings. 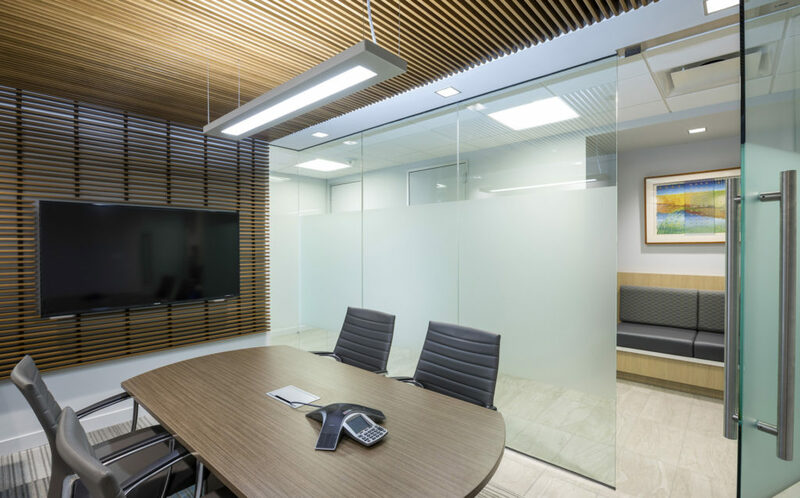 The use of textural materials such as wood, tile and fabrics along with distinctive lighting contribute to a vibrant and colorful space. 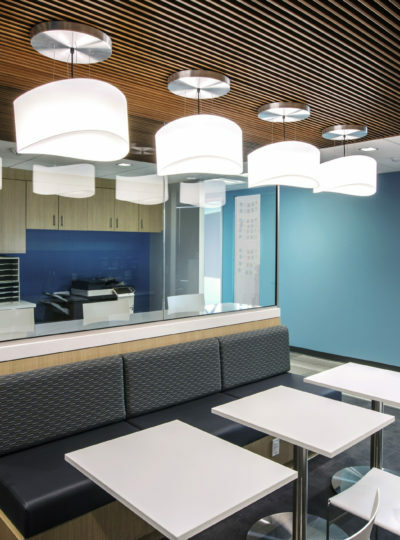 Comfort and collaboration were at the forefront of the design where all staff is encouraged to utilize the banquet seating and tables in the break room for impromptu meetings and gatherings. 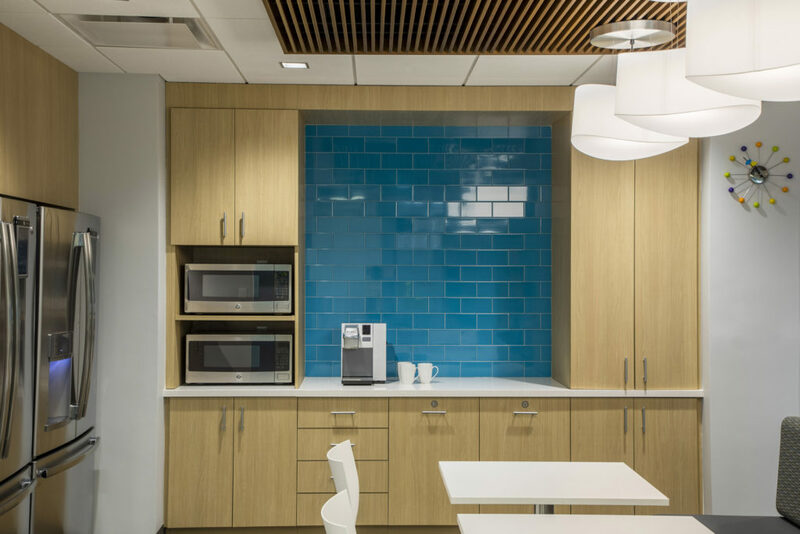 Coordinating new furniture with built in custom millwork, allowed the design team to create a comprehensive design from start to finish. 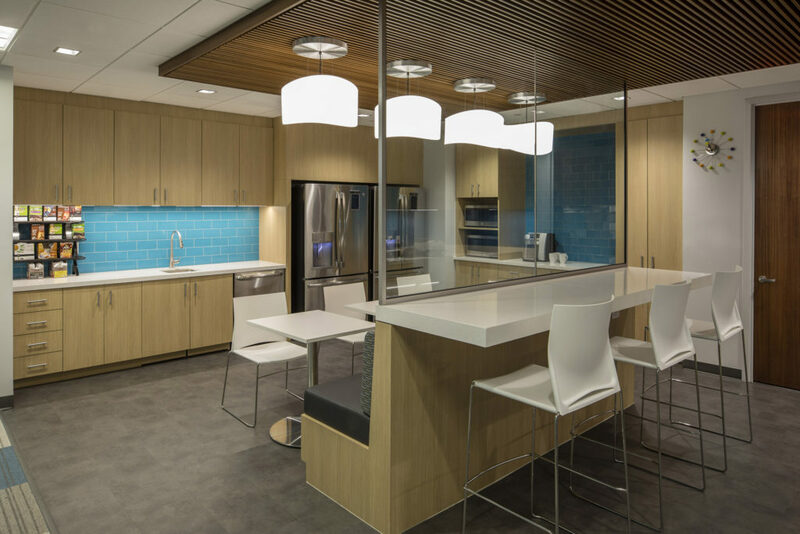 The result is a beautiful space where ACMG can support the professional needs of their members.